Freddy Krueger returns once again to terrorize the dreams of the remaining Dream Warriors, as well as those of a young woman who may be able to defeat him for good. A demonic force has chosen Freddy Krueger as its portal to the real world. Can Heather Langenkamp play the part of Nancy one last time and trap the evil trying to enter our world? Spencer's Father: Be like me. Spencer's Father: Be like me, be like me. Freddy Krueger: Father knows best. Spencer: I'm not like you! I don't wanna be like you! Not like you! Q: Is this whole movie in 3-D? Q: Is this available on DVD in 3-D? I guess I'm part of the silent minority who enjoyed this film. Is it one of the best of the "Nightmare" series? Maybe not, but I had lots of fun with it. Freddy Krueger reaches his evil, wisecracking potential. 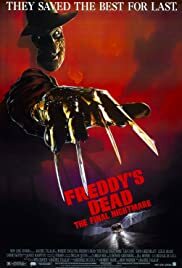 Since parts 4 and 5 kind of lagged the series down, I felt this so-called final installment ("New Nightmare" is the real finale) brought the series out of its slump. There are some great nightmare sequences, including one where Breckin Meyer plays a stoner who gets trashed, falls asleep and gets stuck in a video game to which Freddy controls. This is both a highly original and hilarious sequence, especially when we see him out of the dreamscape, hopping around like Super Mario. 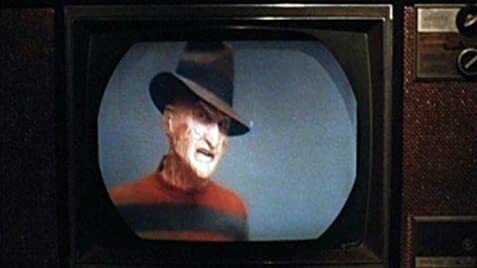 And Freddy belts out the funny one-liner, "Great graphics." And since the movie was made about 10 years ago, it brought back memories when Freddy started controlling the game with the Powerglove. Anyone who remembers the first 8-bit Nintendo remembers the Powerglove. The cast is superb. Lisa Zane is perfectly cast in the lead. I haven't seen Yaphet Kotto since "The Running Man," and I think the last time I saw that film was about 5 years ago. He's another great, underappreciated actor who possesses a powerful screen presence. And who can forget the cameos? The best one is by Johnny Depp (from the first "Nightmare") playing a spokesman for an anti-drug commercial. The 3D sequence at the end is really awesome! So for those who are looking to check this film out--please rent or buy it on DVD! Hopefully all the editions come with the 3D glasses, but I'm sure the video edition has the 3D element removed. I personally didn't see many things wrong with the film. It even elaborated on Freddy's backstory. The film is a great mix of humor and scares, and the gross-out effects are terrific. Could this have given better justice to the franchise? Of course it could have. But Rachel Talalay did a fine job. And finding the perfect conclusion is easier said than done. And in closing, I loved the montage over the opening credits. Fans of the series will be delighted, and will look at it as a tribute to beloved Freddy.